May 30 (ASEM Mongolia) Media accreditation of the 11th Asia-Europe Meeting Summit (ASEM11) in Ulaanbaatar is open for all journalists, photographers, TV, web, and radio representatives. Mongolia is hosting the 11th ASEM Summit of Heads of State and Government on July 15-16 at Shangri-La Hotel in Ulaanbaatar, Mongolia. The 11th ASEM Summit also marks the 20th anniversary since the Asia-Europe Meeting dialogue process was inaugurated in 1996 in Bangkok, Thailand. The deadline to apply for ASEM member country media representatives is July 8. The deadline for non-ASEM member country media representatives is June 25. May 27 (gogo.mn) L.Purevsuren, Minister of Foreign Affairs, D.Ganhyag, Head of Working Group of ASEM Preparation, L.Orgil, Deputy Head and B.Bayasgalan made press session yesterday on ASEM preparation. National council established by the order of the President to organize ASEM 11th summit has conducting preparation in few areas, such as construction of the ASEM villa dedicated for the high-level guests, increasing the capacity of hotels and preparation of skilled workers and volunteers. Firstly, they gave high priority on Chinggis Khan International Airport and Civil Aviation Authority of Mongolia funded MNT 21.7 billion and completed the concrete surfacing of the landing and takeoff strips and the construction of nine aircrafts' parking lot. Therefore, aircrafts' parking lots of Chinggis Khan International Airport has capacity of 34 aircrafts. Moreover they commissioned new transit hall. In scope of UB city landscaping, total of 13 streets and squares is being landscaped and renovated. Also City Governor`s Office is working to build memorial statue for 20th anniversary of ASEM. Construction and accomplishment of ASEM villa has finished. Currently, planting and landscaping work is being conducted. Selection of service staffs to work in ASEM villa have started. Over 40 partner hotels to accommodate official delegations ensured the preparation and reservation have already begun. ​E-booking, integrated reservation system is available at asem11.mn. "Nomad Naadam" cultural and national sports event for high-level delegations is scheduled to be held. In scope of this event, parking lots with 400 cars and 3.4 kms of roads at Chinggisiin Huree tourist camp is being constructed. Accomplishment of press center located at the Shangri-La hotel is being conducted. Over 800 journalists from both foreign and domestic will work at the center and European Broadcasting Union to manage the broadcast of the meeting. May 30 (news.mn) On 25th May, The European Bank for Reconstruction and Development's (EBRD) Resident Representative in Mongolia, Mr. Matthieu Le Blan confirmed to the analytical journal "Mongolia Metal & Mining" that the EBRD has transferred the USD 1.22 billion (USD 400 million-A loans; USD 822billion-B loans) to Oyu-Tolgoi in accordance with the plan. On Friday 26th May, the International Finance Corporation's (IFC) Resident Representative in Mongolia Mr. Nguyen Tuyen also confirmed to the same journal that 22 international banks and financial organizations transferred a total amount of USD 4.4 billion at the same time as the EBRD and that Oyu-Tolgoi received this money on 24th-25th May. HALIFAX, NOVA SCOTIA--(Marketwired - May 30, 2016) - Erdene Resource Development Corp. (TSX:ERD) ("Erdene" or the "Company"), is pleased to announce it intends to issue, by way of a non-brokered private placement, 1,063,830 shares to Teck Resources Limited ("Teck") at a price of $0.47 per share for gross proceeds of $500,000 ("Private Placement"). This fulfills Teck's annual equity investment obligation pursuant to the Strategic Alliance between Erdene and Teck announced by Erdene on April 11, 2013. Net proceeds of the Private Placement will be used for exploration of the Company's Teck-Alliance projects in Mongolia. The Private Placement is expected to close on or before June 15, 2016, and is subject to certain conditions, including, but not limited to, the receipt of all necessary approvals including the approval and acceptance by the Toronto Stock Exchange. All securities to be issued pursuant to the Private Placement will be subject to a four-month hold period from the closing date. The Alliance with Teck was entered into in April 2013, and was formed by the signing of option and private placement agreements (collectively, "Agreement") to fund and carry out mineral exploration in the Trans Altai region of southwest Mongolia. Under the terms of the Agreement, Teck has the option to subscribe for shares of Erdene, priced at the then current market plus 10%, until it has invested $3 million or acquired through subscriptions 19.9% of the outstanding shares of Erdene, whichever occurs first. A minimum of $500,000 is to be subscribed by Teck on each anniversary date of the closing of the Agreement to renew the Alliance. On April 22, 2016, Erdene announced it had agreed with Teck to extend the subscription date for 2016 by 60 days to June 23, 2016. To date, Teck has subscribed for $2.5 million in Erdene shares and owns 10.8% of Erdene's issued and outstanding common shares after giving effect to this subscription. Excluded from the Alliance are the Company's Bayan Khundii Gold Project and Altan Nar Gold-Polymetallic Project. A multi-year program of regional exploration, designed to identify porphyry and porphyry-related mineralization, has been underway since inception. The program has provided the Alliance with a significant amount of technical information that continues to be evaluated. During the 2015 program the Alliance was able to secure new exploration licenses within the targeted area and is now reviewing the potential for future acquisitions within the Mongolia licensing system. With the renewal of the Alliance, the 2016 exploration program will consist of surface geochemical sampling, geological mapping and prospecting, and analysis of newly acquired satellite data. HONG KONG, CHINA--(Marketwired - May 30, 2016) - SouthGobi Resources Ltd. (TSX:SGQ)(HKSE:1878) (the "Company" or "SouthGobi") announces the execution of a deferral agreement with China Investment Corporation ("CIC") for deferral of the sum of approximately U.S.$18.7 million, representing current and deferred cash interest obligations and associated costs payable to CIC, to June 17, 2016. As consideration for the deferral, the Company agrees to pay CIC a deferral fee at a rate of 6.4% per annum on the deferred payments. While the Company believe it will be able to reach a new repayment plan with CIC by June 17, 2016, there is no assurance that the repayment plan will be favorable to the Company. May 30 -- Tian Poh Resources Limited (the Company) advises that Mr Darragh O'Connor has resigned as a director of the Company. The board of directors expresses its appreciation for Mr O'Connor's service. The Company is pleased to advise of the appointment of Mr Michael van Uffelen as a non-executive director of the Company. Mr van Uffelen has been the Company Secretary since 2014. He is a Chartered Accountant and holds a Bachelor of Commerce degree from the University of Western Australia. Mr van Uffelen has over 28 years accounting, finance and company management experience gained with major accounting firms, investment banks and public companies in Australia and internationally. Appendix 3Z – Final Director's Interest Notice for Mr O'Connor and an Appendix 3X – Initial Director's Interest Notice for Mr van Uffelen are attached. MONTREAL, May 27, 2016 /CNW Telbec/ - Knowlton Capital Inc. ("Knowlton") (TSX-V: KWC-H.V) is pleased to provide an update on a proposed reverse take-over (the "Reverse Take-over") of Knowlton by Leni Gas Cuba Limited ("LGC") (www.lg-cuba.com). As previously announced, Knowlton entered into a letter of intent dated April 28, 2016 with LGC with respect to the Reverse Take-over, which will constitute a "Reverse Takeover" for Knowlton under the policies of the TSX Venture Exchange ("TSXV"). LGC was incorporated under the laws of the British Virgin Islands ("BVI") on March 3, 2015 as an investment vehicle for the purpose of making investments and/or acquisitions in Cuba. LGC has its corporate office in London, England and has been listed since November 2015 on the ISDX Growth Market under the stock symbol ISDX:CUBA. LGC and Knowlton are at arm's-length. Knowlton, which was incorporated under the laws of Canada, is listed on the NEX board of the TSXV. Since 2013, Knowlton's main activity has been to identify and evaluate businesses or assets with the aim of completing a transaction to reactivate the company. Loan to Mogul Ventures Corp.
As previously announced, Knowlton has terminated its Amended and Restated Arrangement Agreement with Mogul Ventures Corp., a mining exploration company with properties in Mongolia. In December 2014, Knowlton loaned $50,000 to Mogul Ventures, which amount (plus accrued interest) is now due. Knowlton intends to pursue repayment from Mogul Ventures. TORONTO, ON--(Marketwired - May 30, 2016) - Centerra Gold Inc. (TSX: CG) ("Centerra" or the "Company") reports that it has delivered a notice of arbitration (the "Notice") to the Kyrgyz Republic Government in connection with certain ongoing disputes relating to the Kumtor Project. These include: (i) each of the environmental claims brought by the Kyrgyz Republic State Inspectorate Office for Environmental and Technical Safety ("SIETS") and the State Agency for Environment Protection and Forestry ("SAEPF"); (ii) the claims of the Kyrgyz Republic General Prosecutor's Office seeking to unwind a U.S.$200 million inter-corporate dividend paid by Kumtor Gold Company ("KGC") to Centerra in December 2013 and the related search of KGC's Bishkek office; and (iii) the withholding of environmental approvals of Kumtor's 2016 annual mine plan as well as the withholding of certain key operating and environmental permits required for Kumtor's operations. Under the 2009 Restated Investment Agreement, the arbitration will be determined by a single arbitrator. Centerra has proposed the name of an arbitrator and, failing agreement, will apply to the Permanent Court of Arbitration in The Hague, the Netherlands to appoint an arbitrator. The arbitration proceedings will be held at Stockholm, Sweden and will be conducted under the UNCITRAL rules of arbitration and the governing law will be the law of the State of New York. May 30 (news.mn) During the first four months of 2016, Mongolia has extracted 7.4 million tons of coal, 2.7 tons of gold and 404,100 tons of crude oil. Over the same period, 58,800 tons of fluoride concentrate, 498,900 tons of copper ore concentrate, 713,100 tons of iron ore concentrate and 29,000 tons of zinc concentrate were produced. Regarding exports: During the same period, Mongolia has exported 557,500 tons of copper concentrate, 1,386.8 thousand tons of iron ore, 4.3 tons of gold; 5 million tons of coal and 392,300 tons of crude oil. May 28 (Nomadic Equity) Mongolia, which can be considered one of Asia's most vulnerable frontier markets, has been through a flurry of ups and downs during the past five years. Once praised as the world's fastest growing economy, economic growth has recently approached recession levels amid the commodity bear market, China's economic slowdown, and the rapid drop in FDI experienced from the delay of Oyu Tolgoi, and other mining disputes. Mongolia is a strong commodity export economy, and approximately 90% of these exports go to China, making it most vulnerable to the current commodity bear market and China's economic slowdown. Furthermore, its economic performance has been hindered by the unpredictable actions of the government, which has been another strong factor for driving away FDI. The current economic landscape necessitates a shift in this previous anti-FDI attitude to avoid a recession, and notable improvements have already taken place this year, which will help improve Mongolia's reputation for foreign investment. Mongolia is heading in the right direction, based on events that have taken place in recent months, and now is a strong time to consider stocks that are in a bottoming out phase. Mongolia's Annual GDP Growth expanded by 3.1% during the 1st quarter of 2016, quite a feat for this struggling economy. There are currently no short term catalysts for growth for the country, when considering commodities and China's future economic outlook, and lower growth projections are now being made for this year. The World Bank has projected 0.8% growth for this year, and the IMF has projected 0.4% growth this year. Optimism for Mongolia's economic turnaround is not misplaced, but does certainly require one to take a futuristic view. The main catalysts for Mongolia's economy will not fully come into play until 2020-2021, when its Oyu Tolgoi Mine goes into production. Rio Tinto, with its partners the Mongolian government and Turquoise Hill Resources, have approved the next phase of developing Oyu Tolgoi Copper and Gold Mine, which is a strong point of reconciliation for the country. The development of this mine will begin in mid 2016, and first production is projected to take place in 2020. This project is projected to contribute to 1/3 of the country's GDP, and its implementation is a breath of fresh air for the country and foreign investors, as the previous three year delay has reduced investors' confidence in Mongolia. An important lesson from 2012 and 2013 is that it is not worthwhile to buy into Mongolia when growth is strong, as history has proven that Mongolia's economic growth has not been stable. Instead, I think the most worthwhile investment approach is to invest during dark times, when stocks have bottomed out, and to sell sometime after Oyu Tolgoi goes into full production in the 2020s. The government previously had a 7 year dispute with Khan Resources, a uranium miner in Mongolia, but has agreed to pay $70 million to this Toronto listed company. The Mongolian government met with this company at a Canadian Mining Conference in Toronto, and resolved to pay this amount to the company to improve its image with foreign investors. Khan Resources' stock has responded very well to this new announcement, nearly doubling from its price in early March. The resolution of this dispute can certainly be considered a macroeconomic boost for Mongolia's economy, and a sign that the government is beginning to recognize the necessity of improving its image for investment. FDI is a necessity at this point, and this resolution was perfectly timed, as it was coupled with the beginning of the Oyu Tolgoi Mining Project. Another significant resolution to note occurred during early 2015, when Kincora Copper resolved a dispute with the Mongolian government, which was delaying its exploration efforts, and caused nearly $7 million impairment for its balance sheet. This reconciliation creates a strong investment case for this company, which is active in Oyu Tolgoi, and recently announced a new merger on May the 25th. This merger will allow it to utilize HPX's typhoon technology, which is instrumental in the discovery and delineation of high grade orebodies present at Oyu Tolgoi. Like several stocks active in this country, Kincora Copper's stock price trades at a far cry from the levels of 2012 and 2013. Since early March, a large number of stocks have delivered strong returns. 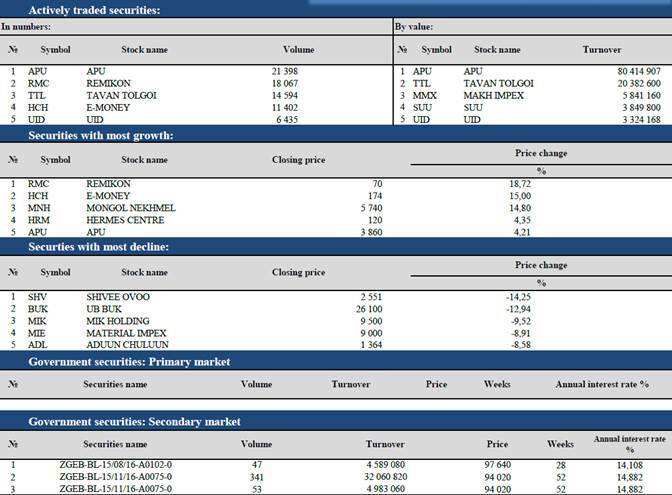 · Xanadu Mine's stock price increased from 0.10 on March the 1st, to its current price of 0.21. · Erdene Resource Development's stock price increased from 0.17 on March the 1st, to its current price of 0.33. · Khan Resource's stock price has increased from 0.44 to 0.86. 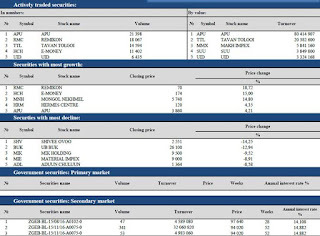 · Mongolia Growth Group's stock price has only increased by 2.6%. 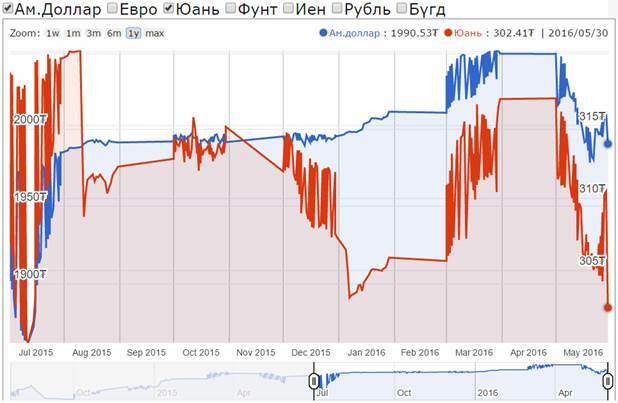 · Mongolian Mining Corporation's stock price increased from 0.07 to 0.10. · Kincora Copper's stock price increased from 0.02 to 0.04. 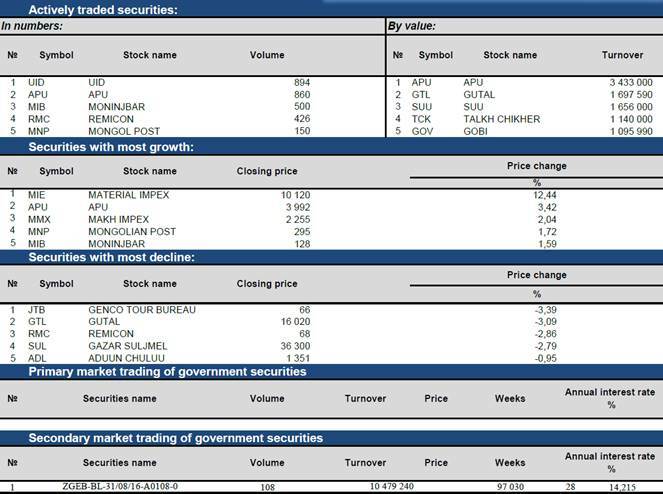 The positive movement for stocks in recent months displays all of these stocks' correlation to economic and political events in Mongolia, thus solidifying the value of a top down investment approach for a diverse portfolio of stocks with significant operations in Mongolia. 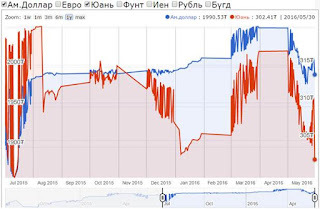 An improved economic environment for Mongolia in the 2020's would produce wonders for a large number of stocks, as the sell off has been strongly based on negative sentiment for Mongolia. Events in recent months display that improvements are taking place in Mongolia, marking now as a strategic entry point for investors. The South Gobi is a relatively unexplored area compared to other copper belts, as it currently has had less than 6 years of foreign exploration. Mongolia can be considered a virgin territory, relative to other strong copper producing countries such as Chile and Peru. The untapped nature of Mongolia's copper belts in the South Gobi is very similar to Chile in the 1970's, making investment in this area a strong, futuristic trend to tap into. Chile had very limited exploration during the 1970's, but now operates approximately 100 exploration projects. Kincora Copper is one of several stocks located in this strategic area of Mongolia, which is expected to be the world's third largest copper mine, and is also joined by companies such as Xanadu Mines and Entree Gold. This is a wonderful futuristic trend to buy into, for investors who have a time horizon of more than five years, as stock prices returning to 2012-2013 levels would produce bar none returns for investors who chose to invest now. The previous 2 year dispute over Oyu Tolgoi resulted in FDI collapsing from $4.4 billion to $0.5 billion between 2012-2014. The country's annual GDP growth consequently collapsed from its peak of over 15% in 2012, to its current level of 3.1%. The approval of phase 2 of Oyu Tolgoi, which will start in mid 2016, can certainly serve as a catalyst for Mongolia's 2nd economic boom, which should take place in 2020-2021. The implication for stock returns that would occur amid a 2nd economic boom in Mongolia is very powerful for a large number of stocks with significant operations in Mongolia, and most specifically in Oyu Tolgoi. Oyu Tolgoi is moving forward as planned, and the resolution of the government's long dispute with Khan Resources has also resulted in a necessary improvement for Mongolia's previous notorious anti-FDI attitude. 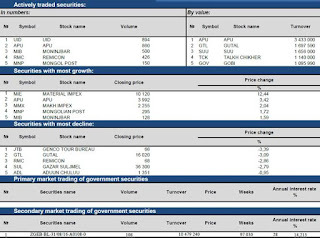 Stocks are following with positive movements due to these catalysts, and many still trade at far cries from the higher levels experienced during Mongolia's economic peak. Mongolia is appealing for very few investors, after the rapid declines experienced since 2012, which has left many investors rightfully cynical. Mongolia does present a high level of risk for investors, yet the current situation presents strong opportunity due to the perceived risk being much higher than the actual risk. Moreover, the untapped Oyu Tolgoi has the potential to be a very salient area for mining in the future once operational, and investing before stocks potentially boom provides the opportunity for bar none returns. Those willing to give the country a 2nd chance, amid new political and economic improvements that will come into full fruition in 2020, have the potential for strong returns. I retain my conviction for Mongolia as a small/high risk portion of a frontier market portfolio, and furthermore encourage investors to buy during dark times for the strongest upside. The 2nd boom that will be driven by Oyu Tolgoi in the 2020's is the opportune time to sell, not buy. Significant improvements made in recent months further edify my conviction for the contrarian opportunity that Mongolia offers investors. Dylan Waller is a Contributor for Seeking Alpha and Smartkarma, and a Macroeconomic Researcher for the crowdsourced consultancy Wikistrat. His research focuses on frontier and emerging markets, with a primary focus on the strategic advantages of Vietnam, Pakistan, India, The Philippines, and Mongolia. May 30 (news.mn) On 25th May, Member of Parliament R.Amarjargal took his "visa" to enter the election as the Democratic Party's candidate for Ulaanbaatar's Sukhbaatar District. However, he has proposed to the DP Chairman that he is prepared to withdraw in favor of one of DP female members who were not selected as candidates in the initial stage. The Electoral Law states that political parties must nominate at least 15 female candidates for all the 76 seats. Currently, however, only five female candidates have taken their "electoral visa". This is the reason why R.Amarjargal will not to stand for election, in order to increase the female quota. May 30 (news.mn) On 27th May, the Democratic Party's National Consultative Commission's met. The meeting, which had been scheduled for 18.00pm started late. At 22.33pm, the representatives of the fractions in the Democratic Party, including former Prime Minister N.Altankhuyag, Prime Minister Ch.Saikhanbileg and Member of Parliament Kh.Temuujin, had a meeting in the office Z.Enkhbold, who is both Parliamentary Speaker and DP Chairman. While they were meeting, the other members of the National Consultative Commission gathered at Government House. At 22.57pm, the meeting of DP-National Consultative Commission started. The necessary quorum had been reached and at the same time the meeting of fractions ended. At 23.17pm, at the beginning of the meeting, the DP presented the certificates to the 40 new members who are joining the National Consultative Commission. At 00.19am, the National Consultative Commission of the Democratic Party officially presented the candidates. This time, 16 female members of the DP will be standing for election. The Commission also discussed the issue of offshore accounts which could implicate some candidates. However, because issue of S.Bayartosgt's account and the accounts of others had been considered closed in 2013, it was, therefore agreed that they could stand for election. May 30 (news.mn) The political parties announced their candidates within the legally set term. Below, we are presenting a list of the candidates from the Democratic Party and the Mongolian People's Party who stand in the electoral districts. It should be noted that both parties have given 20% of their quota to their women. In addition, a colorful range of professions are also being represented among the electoral candidates, including a singer, a wrestler, a poet, a pharmacist and a judo-wrestler. For example, the DP has nominated Olympic Champion N.Tuvshinbayar and singer G.Erdenetungalag, whilst the MPP is providing an opportunity for their younger generation. May 30 (news.mn) On Friday, the Mongolian People's Revolutionary Party announced their candidates during their Congress meeting. The MPRP has decided to nominate Chairman N.Enkhbayar for the Songinokhairkhan District of Ulaanbaatar. From 28th May, however, Chairman Enkhbayar and others have been on hunger strike. As we reported earlier, the MPRP could not get permission to hold the hunger strike on the Chinggis Square. Therefore, they are on strike, in the front of the MPRP Building. The reason for their hunger strike is they have not been allowed to nominate two candidates, namely Chairman N.Enkhbayar and Deputy Chairman E.Erdenejamiyan. Chairman N.Enkhbayar had been sentenced by the court on corruption charges and should now still be in prison, but had been granted clemency by President Elbegdorj. Subsequently, his sentence is still ongoing. MP S.Ganbaatar to run from "United Union of Patriots"
May 30 (news.mn) Member of Parliament S.Ganbaatar has worked as a non-party, independent MP for three years, then in late 2015, having joined the National Labor Party, he became its chairman. Even though this party submitted its application to the General Electoral Commission to participate in the election, this was rejected because of documentary discrepancies. Therefore, in order to stand for Parliament, S.Ganbaatar had only one choice – namely, to join another party or alliance. Subsequently, S.Ganbaatar has decided to stand for election from District 43 in Darkhan-Uul Province under the name of the "United Union of Patriots". It should be noted that he will join neither the "United Party of Patriots" nor the "Labor Party of Whole Mongolia", which means he will use only the name of their alliance. Will Civil Will-Green Party be reinstated fro election? May 30 (news.mn) As we reported, the General Electoral Commission refused to register the Civil Will Green Party for the election due to discrepancies in the documents, which they submitted. Subsequently, the Chairman of the Civil Will Green Party Ts.Ganhuyag along with other members has taken the General Electoral Commission to the Administrative Court. There is information that the court decision has approved that the Civil Will Green Party will be able to participate in the election. Therefore, the Civil Will Green Party has called a press conference today to provide further information. May 27 (Mongolian Economy) James Robinson is a professor at the Harris School of Public Policy of the University of Chicago. His research focuses on political economy, comparative politics and economic and political development, with a particular interest in Latin America and Sub-Saharan Africa. He has written and co-authored numerous books and articles and became widely known as the co-author of Why Nations Fail: The Origins of Power, Prosperity and Poverty, which was published in collaboration with Prof. Daron Acemoglu and earned international acclaim in academic and popular publications. Currently, he conducts research in the Democratic Republic of the Congo, Sierra Leone, Haiti and Colombia. He has taught in the latter for many years during the summer at the University of the Andes in Bogota. Robinson obtained his Ph.D. from Yale University, his MA from the University of Warwick, and his BSc from the London School of Economics and Political Science. He also taught at the Department of Economics at the University of Melbourne, the University of Southern California and the University of California at Berkeley. Mongolia Economy magazine sat down with James Robinson during his visit to Mongolia for the UB Impulse public lecture and discussion, organised by the GIZ Integrated Mineral Resource Initiative. -Is this your first time here in Mongolia? What is your impression of the country? -Yes. It has been very interesting so far. We went with an NGO around the ger districts in Ulaanbaatar just to see how people lived and the problems with services, access to water, electricity, development, property rights and so on. It was very interesting to see how ordinary people are living. So, it has been extremely interesting so far. I am not an expert on Asia, but Mongolia seems very different in surprising ways from surrounding countries that I know a little bit better like Kazakhstan, China or whatever. So I'm learning a lot and enjoying it. -So Mongolia is completely different than when you arrive in the central part of the city and then you go to the outskirts? Well, yes. There is a lot of inequality that reflects the transition that the society is going through and the impact of the mineral wealth: whether it is benefitting just some people or whether it is trickling down and changing most people's lives. I guess one of the biggest challenges in Mongolia now is how to take this wealth and actually use it to transform everybody's lives and not just the lives of the people in the Shangri-La hotel. -If you were to give an advice to Mongolia, as a nation, what would you recommend to pay attention to? You are about to have an election next month. People should ask themselves: what is the election about? What is it that the politicians are offering? Are politicians really offering something which is about the health of the society or for the good of society, or are they engaged in giving favours away for political support? So, people should be focused on the society, public goods and public policy. People should be arguing about what is good for Mongolia and what is going to be good for developing Mongolia and its institutions. They should be focusing on serious discussions about what is wrong with the country and not about what I can do for you or what I can give you. It should not be like "If I win, you get a job. "That is very unhealthy. People should be worried about what the politicians are offering and what the politicians are arguing about. If they are not arguing about the health of the society and what is good for Mongolia, then they should complain about that and not vote for a politician who just offers you a favours. That is terrible for society. MP: "Hanns Seidel Foundation has made valuable contributions to our legal sphere development"
Ulaanbaatar, May 27 (MONTSAME) Parliament members L.Bold, head of Mongolia-Germany caucus in the State Great Khural, N.Lundeejantsan, Ts.Oyungerel and D.Terbishdagva received May 26 a visiting delegation from the Federal Republic of Germany, headed by a member of Bundestag, Ms Gerda Hasselfeldt. L.Bold MP wished Ms Hasselfeldt a pleasant stay in Mongolia. "Germany is our "Third Neighbor" and has contributed greatly to Mongolia's democratic development in the course of the last 26 years, namely, Hanns Seidel Foundation has dedicated valuable support for Mongolia's legal sphere development", he noted. In response, Ms Hasselfeldt appreciated the opportunity to meet Mongolian parliamentarians and the long-time successful and prestigious operations of Hanns Seidel Stiftung in Mongolia. She touched upon matters of the State Great Khural's actions, electoral system and human rights issues in Mongolia. Present were also, Ambassador of Germany to Mongolia Mr Gerhard Tiedemann, and foreign relations advisor at the State Great Khural Secretariat B.Solong, along with other officials. Ulaanbaatar, May 30 (MONTSAME) The finale of "Mongol tsergiin javkhaa" (Spirit of Mongolian Soldiers) competition among all military units in and surrounding Ulaanbaatar took place on May 28 to honor the best marching troops. The competition held successfully for the fourth time was announced early this year, and has taken two stages. Finalists are the Armed Forces units 013, 029, 032, 084, 120, 150 and 326, and Internal Troops unit 120. Military Unit 032 won the competition, having showed their superiority over the other eight finalists, who performed at the central square. Runner-ups were Units 150 and 084. MNT 10 million cash prize was awarded to Unit 032, 8 million – to Unit 150 and 6 million – to Unit 084. Present were, Mayor E.Bat-Uul, Minister of Defense Ts.Tsolmon and the chairman of Ulaanbaatar Citizen's Representatives Khural D.Battulga, along with other officials. May 30 (MONTSAME) Nongovernmental organizations for human rights gave a media conference urging political forces competing in the 2016 parliamentary elections to reflect more human rights issues in their platforms. The Forum Asia along with affiliated organizations including the Glob International center, Center for Human Rights and Development and partner organization which is Asian Network for Free Elections called for political parties to reflect in their platforms all aspects of human rights. Thereby, they have delivered major human rights-related recommendations by identifying them in 4 groups covering a broad range of challenges in civil and political rights, right to food and poverty, business and human rights, environment, domestic violence, human trafficking and so on. After all, they reached a conclusion that Mongolia shall have an independent law against discrimination. Cutting women's quota in parliament from 30 percent to 20 percent, lack of quota favoring individuals with disabilities and violation of elective rights of some political forces have led to such a conclusion. In 2015, Mongolia was elected as a member of the UN Human Rights Council. Unfortunately, awareness of human rights has been not built up in Mongolia. This issue finds no reflection in platforms of political parties. In view of this, the organizations are set to hold training on human rights for political parties. May 30 (Mongolian Economy) The Importance of Infrastructure and Development Trends in Northeast Asia international scientific conference was held last Friday. Infrastructure projects aimed at connecting Asia and Europe such as China's One Belt, One Road initiative and Russia's Eurasian Economic Union are soon to begin implementation. Mongolia has expressed its interest in being more involved in regional integration projects by initiating its own Steppe Road project, which reflects issues regarding railways, roads, energy, natural gas and crude oil pipelines. Experts note that discussions about the project could take place during the meeting of the Shanghai Cooperation Organisation. There are many regional challenges and tensions between countries when it comes to developing Northeast Asian infrastructure collectively. Mongolia is organising discussions in the capital to help building mutual political understanding. China has proposed the establishment of six economic corridors connecting Asia and Europe under its One Belt, One Road policy, one of which is to be connected with Mongolia. Beijing, May 30 (PTI) China has begun the construction of the first unified standard railway with Mongolia, official media reported today. The rail line will pass through Ceke, the second largest port of entry between China and Mongolia. It will be 1,435 mm in width, the standard gauge in China, state-run Xinhua news agency reported. The Mongolian standard gauge is 1,520 mm in width, which causes extra costs for cargo trains travelling between the two countries. The rail line is expected to help Ceke port become the biggest port of entry between China and Mongolia, with annual cargo throughput of more than 30 million tonnes. The port started seasonal operations in 1992 and officially opened in 2009. DeFact: Whose money lies abroad? May 30 (gogo.mn) Last week the International Consortium of Investigative Journalists (ICIJ) released more documents from the Panama Papers, which revealed previously undisclosed records relating to offshore accounts with names and addresses of individuals all over the world. We have seen strong media coverage on the forty Mongolian names in the papers, which included S.Batbold, a former Prime Minister and member of parliament; D.Tsogtbaatar, former Minister of Construction and Urban Development; two daughters of former Prime Minister S.Bayar; and B.Chuluudai, Ulaanbaatar Mayor E.Bat-Uul's son. President Elbegdorj used social media to express his ambiguous position, saying, "Everyone must abide by the law, and be responsible." There are many "must do" things in Mongolia, but the tragedy of today's governance is that these priorities have been ignored by our government officials. Politicians whose names were revealed in the Panama Papers mostly claimed that they do not currently hold any offshore accounts, or that they do not have money in them. Some of them said that they must have registered for them when they bought shares years ago. Every citizen has the right to know what an offshore account is, why hundreds of thousands of people and businesses use them, and whether offshore accounts will exist in the future or not. The name "offshore" refers to something being conducted abroad for financial benefit. Offshore finance came into use in the 1950s when approximately 60 countries, most of which did not have many natural resources, adopted the practice. The term "offshore" is attributed to a service that allows prompt registration of a business, the opening of an international bank account, and being exempt from taxes in the account holder's home country. James Henry, a former chief economist at McKinsey, told The Guardian recently that approximately 20 trillion USD is stashed away in offshore accounts today. One study suggests that 2 trillion USD is in Switzerland, 1.9 trillion in the British Isles, 900 billion in Panama and the Caribbean Isles, and 700 billion in Hong Kong and Singapore. Opinions are divided due to a worldwide discussion taking place to ascertain whether this huge amount of money is the result of illegal criminal activities, such as tax avoidance. One group believes that the flow of capital must be as free and prompt as possible. They hold the stance that offshore finance is a matter of economic freedom, as long as taxes are paid. The other group believes that offshore accounts are the means of the corrupt – mostly politicians – to launder money from arms trading, human trafficking, and selling drugs. Regardless of their size, all businesses seek opportunities to save some of their legally acquired profits in a safe, reliable location, and to invest in countries where tax rates are lower. For these reasons, these businesses establish companies and look for means to trade stock on the international market. In order to meet this demand, offshore financial centers offer services that are allowed under their own country's legislation. Today, one cannot fathom the European capital market without Switzerland, or the Asian market without Singapore or Hong Kong. These countries ensure that their laws are implemented smoothly and financial services are reliable and fast. Therefore, a large number of companies register there to conduct transactions with minimal delay. Wealthy people in many developing countries decide to keep their capital in reliable offshore accounts despite the lower interest rates. This is mainly driven by the fear of civil war and political coups. Mongolia currently has 611 companies with foreign investments which are registered in 12 offshore locations. The Foreign Investment Agency reports that 272 of those companies are registered in the British Isles, 193 in Hong Kong, 68 in Switzerland, and the rest in Luxembourg, the Islands of Bahamas, Cyprus, the Cayman Islands, Panama, Ireland, Gibraltar, Belize, and Lichtenstein. It goes without saying that Mongolians do not believe that all of these companies are dealing with dirty money. Furthermore, there are no legal grounds to presume that any Mongolian business or individual who has registered an account in an offshore location and conducted transactions has committed a crime. The Guardian reported last week that 12 trillion USD is kept by developing countries in offshore locations. The biggest sums are held by Russia (1.3 trillion) and China (1.2 trillion). Since 2010, the increase in the amount of money kept in offshore accounts rose by eight percent a year for Russia, and nine percent a year for China. Thailand, Malaysia, and Indonesia have the next highest increases. These countries have recently seen a series of corruption scandals involving high profile politicians. It was widely reported that the wealthy families in oil-rich nations such as Angola and Nigeria are always afraid of having their capital taken away due to their governments being overthrown. The Panama Papers revealed the names of many statesmen from numerous countries. Following the release of the papers, the Prime Minister of Iceland gave up his position after it was revealed that he had 3.6 million USD in his offshore account and had never reported it. The governments of France, Great Britain, and New Zealand are checking into the offshore accounts that may have links to their politicians. Many countries believe that nations such as the United States and Great Britain should stop allowing money with unknown origins to be used for transactions and investments. In a similar fashion, Mongolia should also receive a written explanation from all of those people who have offshore accounts and who have previously held senior positions in the government. Mongolia's corruption will be reduced if senior officials provide not only their income statements, but also expenditure statements. Members of Australia's parliament are required to submit a report on where they have traveled abroad and who they have met with. It is time Mongolia adopted the same approach. It is not plausible to abolish offshore financial centers, thus the focus should be on collecting taxes. If the money that has flowed through offshore accounts is imposed a tax of one percent, it would add up to approximately 120 billion USD, which nearly equals global aid funds (131 billion USD). When its laws are not followed or implemented, a government weakens. If this continues, there is a stronger likelihood for violations of the law, avoidance of rules, and ignorance of rules. In such countries, the authorities get wealthier while the gap between the rich and poor widens. It leads to social instability and increasing crime, and causes the development of a country to fall behind by many years. A culture needs to be set in Mongolia so that corruption is relentlessly revealed and stopped, and people do not even think of committing this crime. We, the people of Mongolia, demand that the new authorities elected in the 2016 general elections implement the fight against corruption with strong leadership. May 27 (Mongolian Economy) The Japanese-Mongolian Economic Partnership Agreement was the first of its kind for Mongolia. Starting from the 7th of next month, this mutually beneficial agreement is going to be implemented in full force. Customs duties and tariffs on about six thousand types of Mongolian products and about ten thousand types of Japanese products are going to be gradually lowered over the next decade. For instance, no tariffs will be levies on used vehicles imported from Japan that are less than three years old. Depending on the price of the vehicle, that would mean a consumer discount ofUSD650-2000 from pre-agreement prices. As the use of Japanese vehicles increases given the discounts and exemptions, auxiliary services related to repairs and other services should also increase. Another positive externality to market could be a rise in the usage of electric, gas and even solar cars, and this is just one type of product. The Japanese also have things to buy from Mongolia. However, one issue hindering more flows in this direction is the difference in standards between the two countries. There is lots of potential for Mongolia if the nation can produce products of high quality that satisfy Japanese consumer preferences. Forty times larger than that of Mongolia, Japan's economy is the third largest in the world in terms of nominal GDP and fourth in terms of purchasing power parity. Minister of Labour G.Bayarsaikhan paid a working visit to Japan on the 16-17th of this month to his counterpart in Japan, Yasuhisa Shiozaki, the Minister of Health, Labour, and Welfare. During the visit, they exchanged views on expanding the scope of the technical intern training programme and raising the quota of trainees. Bayarsaikhan said that Shiozaki will make official visit to Mongolia next month and approve the proposal. The first meeting made during the working visit of Minister Bayarsaikhan was with the Chief Director of the Japan International Training Cooperation Organization (JITCO), Kazuhiro Suzuki. This organisation handles the reception of trainees from Mongolia and links them to its own member companies that have obtained a licence from the Ministry of Labour of Mongolia. This is a great opportunity for those looking to export to Japan to get experience in the country. During the meeting, Kazuhiro Suzuki noted that the number of trainees sent each year has not increased significantly during the 23-year history of the programme. As the number of trainees increase, so does the possibility to boost the range of products meeting Japanese standards. Today, more than 600 young Mongolians are working and living in Japan. A shining example of such potential is epitomised by a Mongolian man, who used to work in a factory that produces brake and fuel pump parts for Toyota and Honda, and then opened a branch of that factory in Mongolia which now also supplies parts. May 27 (news.mn) For over 15 years Tenger Insurance has provided insurance services meeting the high international standards, including quality and reliability of reinsurance protection. Through our international partnership we are improving our product offering and setting the standards for other insurance companies in terms of technical underwriting ability, innovations in the insurance field, and the knowledge we hold. 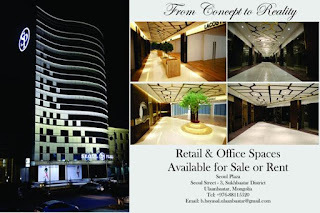 We are the only company in Mongolia which provides services by line of insurance businesses with the team of professional underwriters assigned for each line, in the area of corporate accounts it is Property, Casualty, Accident and Financial lines insurance; in the consumer area it is Vehicle and Personal Property insurance. We deliver insurance services for above 80,000 individuals and entities through our 22 branches, insurance agents, banks and insurance broker companies. We continue to improve professional qualifications of our team through in-house and international training and we shall bring new products and insurance know-how to help Mongolian nation to grow insurance market to its full potential. First Financial Lines Forum helping Tenger Insurance to strengthen our relationship with key stakeholders in corporate governance sector in Mongolia. First Financial Lines Forum will become a platform for banks, insurance companies, commercial and industrial sector professionals in Mongolia, which creates communicative areas for across-the-board discussions on main challenges and perspectives of financial risk insurance development, as well as natural, technological and catastrophic risks. May 27 (gogo.mn) Ulaanbaatar holds its annual Car-Free Day on the first Saturday of June in order to promote improvement of mass transit, cycling and walking. This year car-free day to be held on June 4. In view of this event the Ulaanbaatar international marathon, cycle parade, cultural performance and bike show will be organized while markets selling health and sport products to exhibit their products. US Secretary of State John Kerry will travel to France and Mongolia next week before visiting China amid tense regional ties, State Department Spokesperson John Kirby said in a statement Monday. MOSCOW, May 30 (Sputnik) – Kerry's June 5-7 visit to China for the eighth US-China Strategic and Economic Dialogue (S&ED) comes as Washington and Beijing are at odds over China's artificial islands in the South China Sea. "US Secretary of State John Kerry will travel to Paris, France; Ulaanbaatar, Mongolia; and Beijing, China, June 2–8," Kirby said. China claims sovereignty over the entire South China Sea, which contains some of the world's most crowded international shipping lanes. In rejecting Chinese claims, the United States frequently conducts exercises with other nations in the region, in which ships and planes come within the 12-mile international limit of China's military bases on both sides of the international waterway. Additionally, US air and naval patrols persistently challenge China's claims over territories disputed with Brunei, Malaysia, Vietnam, the Philippines and Taiwan. Ulaanbaatar, May 30 (MONTSAME) President of Mongolia Ts.Elbegdorj received Sunday a delegation of the House Democracy Partnership (HDP) at the U.S. Congress. The President welcomed the U.S. Congress delegation here, and said Mongolia is thankful to the US Congress and Senate for helping Mongolia advancing its democracy. He noted that Mongolia is sharing its democratic experience with other countries and deploying its peacekeepers in several countries including Iraq and Afghanistan. HDP chairman Peter Roksam said he is happy with the successful development of the US-Mongolia relations and cooperation. The parties talked about Mongolian experiences in combating corruption, the historical relations of Mongolia with its neighbor countries, its features as well as own role in the democracy and peace building in the region. The President pointed out that Mongolia has mediated and hosted several meetings and talks among North Korea, South Korea and Japan on closed issues. He added that his lecture on democracy given at the Kim Il-sung University attracted the public attention. Ts.Elbegdorj also talked about the ancient history of Mongolia, noting that a major part of exhibits of the Iranian museums is related to the Mongolian history. At the end of the meeting, the HDP chairman Peter Roksam emphasized the significance of the people-to-people contacts in relationship between nations. Ulaanbaatar, May 30 (MONTSAME) The U.S Embassy in Ulaanbaatar reported that its staff has conducted its annual outreach trip to rural areas to meet with Mongolians, discuss Embassy programs, and engage local Mongolian leaders in education, civil society, and government. Staff members and American Fulbright English Teaching Assistants (ETAs) traveled to the three eastern aimags Khentii, Dornod and Sukhbaatar on April 24-30, 2016. At meetings with governors and educational and cultural officers, and the general public affairs officer (PAO) McKenzie Milanowski discussed areas of cooperation between provincial organizations and the U.S. Embassy, including the educational and cultural programs offered by the U.S Embassy to Mongolians. In particular, she emphasized the Embassy's interest in increasing the involvement of professionals and students from rural parts of Mongolia in its exchange programs. At local museums, libraries and theaters, the Embassy staff discussed U.S. Government grant opportunities for preserving cultural and historic heritage such as the (GRANT NAME). In meetings with local NGOs, Embassy staff overviewed various grants opportunities sponsored by the U.S government and discussed best practices for writing a successful grant proposal. At vocational training centers and universities, Embassy staff met with staff and faculty to discuss the English language programs and scholarship programs offered by the U.S Government. During the trip, ETAs visited secondary schools to discuss higher education in the U.S. and their experiences studying in U.S. colleges. The team also visited a center for children with disabilities and elderly care facilities to deliver presentations about American culture to participants. FIVE HILLS TRAINING AREA, Mongolia. May 27 (U.S. Marines) -- U.S. Soldiers with 8th Military Police Brigade conducted a demonstration on unmannned aerial vehicles for members of the Mongolian Armed Forces during Khaan Quest 2016 at Five Hills Training Area near Ulaanbaatar, Mongolia. The training provided MAF members with a deeper understanding of the purpose and operations of UAVs and how they can be used during peacekeeping missions. The U.S. instructors started with and introductory class explaining the components of the UAVs and the basic concepts involved with operating them. Afterwards, the instructors demonstrated how to fly the UAVs in a before the high winds typical to this area started gusting. "We've conducted classroom portions of UAV operations training and today we demonstrated the capabilities of takeoff, flying and landing," said Army Sgt. Rose, assigned to 8th Military Police Brigade. "They are very excited learning the equipment capabilities. These concepts are very new to them as they have not been implemented in their operations." For the practical demonstration, the MAF participants filed out of the classroom building and clambered up a ladder to the roof of a multipurpose building to observe the demonstration. "We have approximately 19 MAF personnel participating in the training today," said MAF 2nd Lt. Jamiyankhuu. "This is their first time conducting this training we find it extremely useful for our part in UN operations such as convoys and surveillance. We have personnel deploying soon…for a peacekeeping mission." The practical application consisted of a review of the basic operation of the UAV and how to gauge weather conditions in order to best care for equipment. According to Rose, the Mongolians will implement the training well, due to their involvement in UN operations. "The MAF have just recently begun purchasing and finding ways to implement UAVs," said Rose, a Meniffe, California, native. "In case of a (humanitarian aid disaster relief mission) such as flooding or natural disasters, they can see what's happening on the ground without sending up an expensive helicopter. It's cost efficient and provides a live video feed of the situation on the ground and can save on lives just as much as government costs." After the practical application, students had the opportunity to inspect the equipment and received instruction on assembly of the UAV parts. "The U.S. instructors are giving everything they can to train us and we are thankful for their efforts," said Jamiyankhuu. "We are learning the many capabilities of the American forces that they are sharing with us. The MAF participants are enjoying learning how to work with the UAV and interacting with the American service members. We are learning a lot from each other on many levels, including tactical and cultural ones." The class ended with a review session of the concepts and structure of the UAV and the students climbed down from the rooftop to continue classroom instruction. "We deeply appreciate the cooperation of the U.S. Armed Forces," said Jamiyankhuu. "This year's Khaan Quest has been very beneficial for us because this is the biggest event happening in this area due to the many multinational participants. We want to thank the U.S. Army for their cooperation with us and we look forward to continuing peacekeeping efforts together in the future." May 30 (e Turbo News) In January 2016, Air Astana, the flag carrier of Kazakhstan, initiated internationally recognised processes relating to the intended launch of air services between Astana and Ulaanbaatar, the respective capitals of Kazakhstan and Mongolia in June 2016. Air Astana successfully completed the requisite operational safety audit by the Mongolian civil aviation authority (CAAM) and was informed that there were "zero findings", with approval for the issue of an operating permit being granted in March 2016. In April 2016, CAAM reversed its position by withdrawing permission and failed to issue the Air Operator Certificate required by foreign carriers flying to Mongolia. The grounds claimed by CAAM for doing so are totally invalid. Firstly, Air Astana is not banned from operating to any country and has never been so during its successful 14 year history. Secondly, Air Astana did successfully complete the operational safety audit, which it passed with "zero findings." And finally, the requisite legally binding intergovernmental agreement is in place for services to commence between Kazakhstan and Mongolia. Air Astana calls upon to CAAM to review the decision to the revoke the flight permit and recognise that its grounds for doing so are not only invalid, but are in violation of long established international civil aviation standard practices. Air Astana exercises 20 of the 45 approvals it enjoys from Regulatory authorities, with many of these authorities considered to be leaders in Safety Oversight. The airline is therefore curious to understand any concern that could improve operations safety. Ulaanbaatar, May 27 (MONTSAME) The Mongolian and Kazakhstan Ministries of Justice have deliberated urgent challenges the sides are confronted with in implementing the 1993 agreement on mutual legal assistance for civil and criminal cases and ways of tackling the challenges. These were included in agenda of a meeting held Wednesday between officials of the two Ministries. The sides reached certain agreements on issues concerning intensifying mutual legal assistance and resolving applications of nationals of the two countries within shortest period of time. Ulaanbaatar, May 27 (MONTSAME) Delegation of Mongolia led by Ts.Enkhtuvshin, the secretary-general of the National Security Council of Mongolia (NSC) and B.Delgermaa participated in the 7th international meeting of senior security officials held May 23-25 in Grozny, Chechen Republic of Russia. During the meeting, Enkhtuvshin shared views on cooperation-related matters with N.P.Patrushev, his Russian counterpart; Meng Jianzhu, a member of the Politburo of the Communist Party of China and Secretary of Central Political and Legal Affairs Commission; and To Lam, the Vietnamese Minister of Public Security; and representatives from India and Israel. This year's meeting brought together representatives from some 70 countries who reviewed mainly the current challenges the global community is facing such as terrorism, illegal migration of people and information security. After the event, our delegation was received by Ramzan Kadyrov, head of the Chechen Republic. Ulaanbaatar, May 30 (MONTSAME) Prime Minister of Mongolia Ch.Saikhanbileg received Monday Russian veteran cosmonauts who are visiting Mongolia these days. This meeting was attended by Major-General A.A.Leonov, a cosmonaut and twice-Hero of Russia; Major-General V.A.Dzhanibekov, twice-Hero of Russia and Hero of Mongolia; and Major-General Bertalan Farkas, the first cosmonaut of Hungary and Hero of Hungary and Russia. The Premier underlined that the 95th anniversary of the Mongolia-Russia diplomatic relations and the 35th anniversary of the Mongolia-Soviet joint space flight are marked this year, and emphasized Mongolia and its nation always respect the cosmonauts. During the meeting, the Premier granted the Polar Star Order of Mongolia to the Hungarian cosmonaut Bertalan Farkas awarded by a decree of the Mongolian President. Then, Saikhanbileg congratulated I.K.Azizov, the Ambassador Extraordinary and Plenipotentiary of the Russian Federation to Mongolia, on his 60th birthday, giving to him a silver cup and khadag (silk scarf). Commander of the Soyuz-39 spacecraft V.A.Dzhanibekov, who flown with the Mongolian first cosmonaut J.Gurragchaa, is visiting here 10th time, and A.A.Leonov, who was included in the first unit of astronauts of Russia comprising Yu.A.Gagarin, the very first cosmonaut of the world, is travelling second time. Meanwhile, the Hungarian first cosmonaut Bertalan Farkas is visiting Mongolia for the first time. Present at the meeting were J.Gurragchaa, the first cosmonaut of Mongolia; and M.Ganzorig, backup cosmonaut of the Soyuz-39 spacecraft. May 27 (news.mn) Since the beginning of 2016, six Mongolians have been accused of drug-related offences in China. One of them has been sentenced to 15 years behind bars; the cases of the remaining five people are still at a preliminary investigation stage. China has a very severe approach to drug crime – the maximum sentence being the death penalty. Recently, attempts to use Mongolians for drug transportation and dealing are on the rise. The police have confirmed an increase in the involvement of young people aged between 18 and 29 in drug crime. Therefore, the police authority is continuing to warn people not to have anything to do with drugs. "Eurasian Continentalism and the Global Community"
Our second informal event of the summer, this evening's open discussion will focus on on Mongolia's role in Eurasia and in the global community. Scholar's Corner events are informal gatherings where interested individuals can meet, share their research, their interests and make new connections. It is open to students, academics, experts and arm chair scholars. The event is organized by the American Center for Mongolian Studies. This event is open to all interested in the topic of discussion. Cash bar will be available for those wishing to have a meal or beverage. Ulaanbaatar, May 30 (MONTSAME) Under the auspices of the President of Mongolia and the UNESCO, an international conference themed "ROCK ART: History, Memory and Dialogue" opened May 30 at the Best Western Premier Tuushin Hotel, Ulaanbaatar. The conference attracted scientists and scholars from the UNESCO, Mongolia, the US, Russia, China, Turkey, Great Britain, the Republic of Korea, Japan, France, Australia, Azerbaijan and Spain. President Ts.Elbegdorj and the Chief of Staff of the President's Office P.Tsagaan delivered opening remarks at the conference. The Office of the President of Mongolia, in collaboration with the Institute of History and Archaeology of the Mongolian Academy of Sciences, has started the research project "Rock art" in an effort to preserve and protect petroglyphs' memorials. They are considered as the cultural heritage of not only Mongolia, but also of all humankind. Furthermore, the project aims at deepening research that will benefit the young generation, and that will also facilitate the dissemination of the value of petroglyphs to a wider audience. - On the Rocks we can find not only images of domestic items, but also inscriptions of poems. Many different countries have such unique historical documents our ancestors have passed over to the mankind. However, this is Mongolia which is the first to come up with an initiative on how to preserve them and research in deeper way. Image: The event where President of Mongolia Mr Ts.Elbegdorj delivered the opening remarks was an International scientific conference themed "The Art immortalized on the rocks". The conference held under auspices of Mr Ts.Elbegdorj, the President of Mongolia and the UNESCO brought together the prominent anthropologists which attests that "Rock paintings are an important interpretation of the origin of humanity", according to Mr. Tsagaan, Chief of the President Office which is the organizer of the Conference. - This heritage shall be studied not only by Mongolian scientists, but together with researchers from other countries. That's why we invited the international scientists to this Conference to draw them in our petroglyphs project. Image: The project "Rock paintings" has been launched by the President Office in cooperation with the Institute of History and Archeology of Mongolian Academy of Sciences. More than 60 Mongolian and foreign researchers have discussed a range of issues such as conserving rarest rock paintings, interpreting and deciphering the rock paintings and establishing the time and period they belong to in order to know more about the culture and way of living of prehistoric people. Synchron: Honorary Professor Richard Kortum, the East Tennessee State University Johnson City. Image: There are more than 500 rock paintings found in the Mongolian Altai, Khangai, Khentii and Sayan mountains. With launching the project, a start is given only to deciphering and interpreting rock paintings which will make smooth the further path to registering, filing and protecting the petroglyphs found in Mongolia with joint efforts by researchers and locals. May 29 (Al Jazeera) The practice of Buddhism in Mongolia was revived after the introduction of democracy in 1990 and has since flourished. But people there are just beginning to acknowledge the importance of the vast heritage of Buddhist literature. May 30 (gogo.mn) All districts of UB to hold events for children`s day at their squares according to the special program. Some events to be organized today. Joint event for the children`s day to be held at Chinggis square at 11AM on June 01. City Education Department is organizing the event with the aim to introduce the achievements of "Book", "Talent" and "Teacher" programs as well as to promote children`s talent and skill. 500 children to play "Haluun elgen nutag" with flute and 500 children to plat "Mongol ayalguu" with morin huur (horse fiddle). Also 1000 children to perform choral singing and over 2000 children to do mobile gymnastic. Moreover, 1000 children parade to be held while works of children to be exhibited. "Mongol boy" children`s day event, initiated by the Mongol Naadam Complex, will be held at Hui doloon hudag on June 01 with the aim to promote Mongolian tradition, culture and Naadam festival. More on children`s day celebration in Ulaanbaatar, please click HERE. Ulaanbaatar, May 30 (MONTSAME) During the Second Meeting of the United Nations Environment Assembly (UNEA) that took place on May 23-27 in Nairobi, Kenya, Mongolia in cooperation with certain states co-organized events and discussions on upgrading the waste management, soil deterioration, desertification, dust storms and on sustainable development of pasture lands farming. The first President of the UNEA S.Oyun passed her duty to successing Edgar Gutierrez Espeleta, the Costa Rican Minister of Environment and Energy. After the ceremony of transferring the duty, S.Oyun addressed over ten activities, thematic discussions and activities held as parts of the UNEA session. Mongolia was represented at the events by representatives of environment, civil society and banking organizations as well. Ulaanbaatar, May 27 (MONTSAME) Minister of Environment, Green Development and Tourism N.Battsereg; and head of the Ministry's Department of Pure Technologies G.Nyamdavaa met Thursday with business delegates of Saarland State of Germany, who are taking part in the "Expo Mongolia 2016" trade fair in Ulaanbaatar. The Minister said the hosted in UB for the 4th year Expo Mongolia-2016 enables foreign investors to get familiar with Mongolia and to seek cooperation opportunities with their Mongolian counterparts. The sides expressed their willingness to launch cooperation in environmental reclamation after mining exploration, saving biological diversity, sustainable development of forestry and utilization of underground heat sources. N.Battsereg pointed out that the Mongolian Ministry plans to hold a joint workshop on environmental reclamation after mining and re-forestation in collaboration with the German Ministry in September of 2016. The sides agreed to co-organize a symposium on renewable energy in 2017. May 27 (Tech Insider) In 1206, Genghis Khan, a fierce tribal chieftain from northern Mongolia, began to take over the world. The khan's ruthless tactics and loyal horde swept across Asia. One territory after another fell under the overwhelming force of the Mongol Empire, which would eventually stretch from the eastern shores of China. A series of successful forays in Hungary and Poland made even Europe seem within reach of conquering. But this unstoppable wave of victories in Europe suddenly ended. Though Mongols seemed to have been poised to advance toward Vienna, they instead abruptly returned to Asia. Historians could only guess why until now, since written accounts from the point of view of Mongol military leaders are sparse. But a new study in the journal Scientific Reports looked at a different kind of record to solve the mystery of the horde's abrupt exit from central Europe: tree rings. This wooden chronicle revealed that a cold and wet period set in for years, leading "to reduced pastureland and decreased mobility, as well as hampering the military effectiveness of the Mongol cavalry," according to a press release. Here's how the Mongols rose to power — and how natural climate change may have forced them to cut their losses and stop a fearsome war of attrition. When Genghis Khan died in 1227, he left his son Ogodei a territory that extended from northeast China to the Caspian Sea, just north of modern-day Iran. It measured an astounding 11 million square miles. "Whether measured by the total number of people defeated, the sum of the countries annexed, or by the total area occupied, Genghis Khan conquered more than twice as much as any man in history," historian Jack Weatherford writes in his book "Genghis Khan and the Making of the Modern World." After his father's death, Ogodei Khan carried forward his legacy. The khanate expanded to the east and west, conquering the remainder of northwest China and pushing into Kievan Rus, now in modern-day Ukraine, aided by a wet period that allowed the Mongol armies to bring thousands of horses across the largest desert in Asia, the Gobi. By 1240, Kiev had been sacked and the horde was rapidly advancing west. Their cavalry and siege tactics were laying waste to the cities of Europe, and, perhaps more important, they brought along Chinese gunpowder. This series of unqualified successes brought the vast Mongol army to Hungary in March 1241. King Bela IV fled his palace in Pest (now part of Budapest), and Ogodei's armies slaughtered an estimated 1 million Hungarians: troops, clerics, nobles, knights, and peasants. It was one of the bloodiest defeats of the medieval period. In December 1241, Ogodei Khan died unexpectedly. Some historians have argued that Batu, Ogodei's nephew who had been leading the western campaign, turned back toward the Mongol capital of Karakorum for the election of a new leader. But Batu never returned to Mongolia, instead remaining in the south of modern-day Russia to rule the Golden Horde. Meanwhile, Ogodei's wife, Toregene, took power as the Great Khatun. Several theories exist as to why the army abandoned its western front, but, the authors of the new paper argue that none are fully sufficient to explain the change in course. The authors sampled wood from five regions of Eurasia to track what the weather was like during the period of the Mongols' most extensive reach. Trees are especially sensitive to small changes in climatic conditions. In wet years they add thick layers of bark to their trunks; in dry years the rings are thinner, reflecting the lack of water to a tree. The researchers found that the climate in Hungary and its surroundings was unusually cold and wet for about three years, from 1238 to 1241. The extra moisture and early spring thaw turned the Hungarian plains into marshes and swampland — unsuitable terrain for moving the thousands of horses the Mongol armies relied on for transportation and warfare. The last year of the eastern European campaign, 1242, they note, was especially damp. This led to crop spoilage, further reducing the food supply for the khan's hordes. Famine later set in and killed thousands in the region. It's likely that Ogodei's commanders chose a southern route because of its relatively drier conditions, the authors write, directing them away from Europe. What happened to the Mongols afterward? Ogodei Khan's death kicked off a spate of power struggles among Genghis' sons and grandsons, fracturing the Mongol Empire into pieces that never reunified. His lineage, however, continued to found dynasties in India, China, Persia, and Siberia. The Mongol people continue to live in China's Inner Mongolia Autonomous Region and modern-day Mongolia, where Genghis Khan's portrait appears on currency, vodka, and cigarettes, and his name even graces Ulaanbaatar's international airport. As scientists gain the ability to examine the climate record in greater detail, we're discovering more about how climate shaped history. Unusual climates probably allowed Polynesians to spread out across the South Pacific, led to the fall of an ancient metropolis in pre-colonial Mexico, and encouraged Attila the Hun's campaign of terror against the Roman Empire 800 years before Genghis Khan. The authors conclude that their study of the Mongolian withdrawal from Hungary "illustrates the incidence of even small climate fluctuations upon a historical event." Ulaanbaatar, May 30 (MONTSAME) State Honored Sportswoman and World Championships bronze medalist D.Sumiya grabbed gold medal in the women's -57 kg division of the Guadalajara World Masters of high-ranking judokas held on May 27-29 in Mexico. This is her third gold medal won in the World Masters series in three consecutive years. She beat her opponents from the Netherlands, Great Britain and Chinese Taipei until finals. At the gold medal contest, she defeated Helene Receveux of France. International masters of sports D.Tomorkhuleg and G.Odbayar won silver medals in the men's below 66 kg and 73 contests, respectively. Another judoka D.Amartuvshin captured bronze medal in the men's -60 kg contest. The gold medal automatically went to a South Korean judoka An Baul due to an injury of our judoka. Other four Mongolians took 5th places in the men's -60, -81, women's -63 and -70 kg bouts. Ulaanbaatar, May 30 (MONTSAME) Freestyle wrestlers of the national women's team successfully competed in the "Memorial Matteo Pellicone" international tournament held in Italian Sassari city. This tournament brought together wrestlers of the host country, Brazil, Venezuela, Greece, Israel, Kazakhstan, Canada, Russia, Romania, Ukraine and France. Three Mongolians who are P.Orkhon (58 kg), B.Shoovdor (60 kg) and O.Nasanburmaa (69 kg) won gold medals in their contests. Bronze medals went to S.Battsetseg, State Honored Sportswoman and twice World champion; and E.Gantuya IMS. After the "Memorial Matteo Pellicone" tournament, they will participate in the 20th Poland Open that will take place on June 17-19 in Spala city. Ulaanbaatar, May 30 (MONTSAME) The 11th FISU World University Championships for Archery will take place on June 1-5 in the National Central Stadium of Ulaanbaatar. About 250 archers from 24 countries such as Italy, France, the Czech Republic, Slovakia, Sweden, Belgium, Great Britain, Australia, Japan, India, Malaysia and USA confirmed to participate in the tournament. The upcoming competitions will be organized in the men's and women's compound and recurve events in individuals, team and mixed team categories. May 27 (gogo.mn) Bukhbat Mashbat, International Judo Federation (IJF) referee has received his rights to referee Rio-2016 Summer Olympic games from IJF. He is one of the 14 referees to referee Rio-2016 Olympic judo tournaments. Mongolia, Japan and China were selected from Asia for this responsible and honorable duty. This makes M.Bukhbat the first judo referee in Olympic games. M.Bukhbat is the son of Ch.Mashbat, State honored sportsman, founder of female judokas in Mongolia, and he is the deputy director of Mongolian Judo Association. In the past year, M.Bukhbat refereed Astana World Championship, Grandprix tournaments. He is to referee the last olympic qualifying "Masters" tournament that will commence today in Mexico. May 30 (gogo.mn) Sumo wrestler Kyokutenho Tsevegnyam's retirement ceremony took place yesterday at Ryogoku sumo town in Tokyo. N.Tsevegnyam was one of the very first Mongolian sumo wrestlers in Japan and he announced his retirement after Nagoya basho. In Feb 1992, 15-16 year old boys N.Tsevegnyam, D.Batbayar, B.Enkhbat, Ts.Batjargal, Munkhbold, Tumendemberel along with translators Tseveesuren set foot for the first time at Oshima stable to wrestle for sumo. And March of that year, first Mongolian wrestler had competed in Osaka basho, thus opening a new page, Mongolian sumo page, in sumo world. Out of the first 6 teenagers, 4 of them returned home because of environmental, cultural and home sick reasons. With persuasion from their Oshima stable teacher and friend B.Enkhbat, N.Tsevegnyam and D.Batbayar started wrestling again. After 24 years, Kyuotenho Tsevegnya retired on May 29, 2016. Some 8000 people arrived at his retirement ceremony and other 420 people of family, friends, fellow sumo wrestlers, and artists came on stage for top-knot hair cut off ceremony (chonmage). We bring you some of his official retirement photos as sent by B.Davaa, sumo wrestling photographer at Japanese 'Baseball magazine". May 30 (gogo.mn) UB comedy is to organize the world class solo standup show for the first time in Ulaanbaatar. They will feature Matt Davis, a 35-year-old, Alabama-born and award-winning comedian. He has released five albums over 18 years as a touring performer while logging repeat performances in 150 cities in eight countries including appearances at the prestigious Just For Laughs festival in Montreal, JFL42 in Toronto, and SketchFest in San Francisco. Matt Davis first took the stage at age 17 at the Comedy Club Stardome in Birmingham, Alabama where he later served as the club's house emcee for a year and a half before taking to the road full-time. He is kicking off a year-long tour around the world in July, 2015. He has started with a handful of gigs in Asia and from there he has been visiting country-to-country. He will arrive in Mongolia in June and the comedy show will be held on June 23 at Revo bar, Ulaanbaatar city. Detailed information on the event to be published soon. May 27 (gogo.mn) "Mongolian National Motion Picture Academy" will hold it's annual 'Mongolian Academy Awards' this year on June 3 at "Ikh Tenger Complex" for the sixth year. On June 3, the awards ceremony will be held in 17 nominations. The festival that contributes greatly in development of motion picture industry was first organized in 2011 and "Zurlug / Crossroad" won the best picture award that year. Since that "Bodliin hulgach / Mind thief" in 2012, "Aravt" in 2013, "Urgeeleg" in 2014, "Aav / Dad" in 2015 have respectively won the best pictures. Ulaanbaatar, May 28 (MONTSAME) Mongolian Airlines MIAT Company is launching direct flights to European Union members, starting with the flights to Frankfurt, Germany, in late June. The direct flights will be seasonal. The peak of tourism season starts from June and ends in September. During this time of each year, MIAT increases the frequency of direct flights to Frankfurt, Seoul, Beijing and Moscow. MIAT intends to launch direct flights to the USA, according to an unofficial source. May 27 (news.mn) Last year, a total of 300,000 Mongolians visited Ulan-Ude, which is the capital of the Russian Republic of Buryatia. To put this into perspective, the population of Ulan-Ude is 413,000 people! The fact that Mongolians and Russians do not require visas for short trips is one of the factors for this high number. The influx of so many Mongolians has also boosted the retail trade of Ulan-Ude, which has increased to RUB 122 billion. The income for the owners of apartments for let has risen by 20%. Since the beginning of 2016, the balance of trade between the Buryat Republic and Mongolia has reached USD 26.7 million. According to Mongolian Vice Consul G.Jargalsaikhan, who is based in Russia: "Mongolians usually visit Ulan-Ude to buy and sell retail items and to see the venerated body of the Khambo Lama Dashi-Dorzho Itigilov at the Ivolginsk Datsan (Monastery). The number of people visiting Lake Baikal also increases in the summer months. Another thing which is increasing is the number of Mongolian parents who want their children to study at schools in Ulan-Ude, thereby learning Russian well."